Have you ever wondered why the human form is the way it is? The human form is harmonically proportioned. But this outer graceful form hides a whole universe or intelligent organization. The human body consists of about 100,000,000,000,000 organic cells. The useful work of these diverse cells is what keeps the human body alive and healthy. Every human cell is in its appropriate place and intelligently performing its unique and individual function. And yet, each human cell must have an overall understanding of the whole human body in order to do its own work properly. 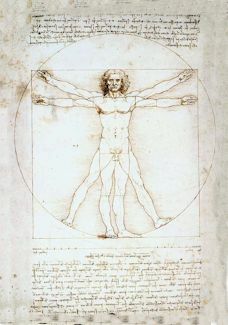 The human body also consists of three essential systems that seem to be discrete or separate and yet connected in some way. The digestive system converts natural food and water into new human cells. The stomach breaks down the food with acid, the small intestines continue the process by digesting what is nutritious and the colon evacuates what is not. The digested food is then metabolized in the liver and the kidneys filter blood cells from impurities. The circulatory / pulmonary system, which is propelled by the heart and lungs, oxygenates blood and circulates new blood cells to the appropriate parts in the body. Finally, the nervous system, which consists of neurons, begins in the brain and coordinates and controls the voluntary and involuntary actions through the use of electrical signals. Now, it is an interesting fact that scientists never ask themselves what is propelling these human cells to continue to do the wonderful work that they do. And where does their intelligence originate? Some scientists are now saying that it all started with gravity and then everything evolved into intelligence. So, maybe we should all start worshipping gravity! If scientists could reason beyond their sensual mind, they would discover that the gravitational and electro-magnetic fields are in correspondence with the Wisdom-Love field in higher dimensions (or Heaven). Galaxies are in a vortical form, stars radiate Light and planets rotate and revolve because they are in correspondence with the higher-dimensional vortex of Wisdom-Love. And the human natural body is also a very complex vortex that is in correspondence with Heaven. This is the only way we can explain why human cells behave intelligently. As we see, the human body, mind and soul evolved in correspondence with the organization of Heaven. Heaven is a higher-dimensional human vortex that is realizing Love. Angels are the organic cells of Heaven or the Divine-Human. 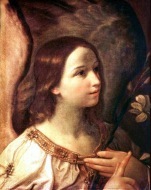 Each angel is performing a unique and useful function in a certain part of Heaven. But the flesh of this higher-dimensional vortex is Divine (or unselfish) Love and its blood is Divine Wisdom. The Love of Heaven becomes more real as more angels enter Heaven from the human race. Therefore, like the human body is ingesting and digesting natural food, Heaven is ingesting and digesting human souls. When a human being dies and enters the spiritual atmosphere, he is stripped of all artificial pretense by the spiritual organs of the Natural Heaven and his real loves and beliefs are exposed. If his soul contains any unselfish love and truth, he is then propelled to a heavenly society that is in harmony with his loving affections and true beliefs. It is in this society that he will be performing his unique and distinct spiritual function. But, like food that is not nutritious, a human soul that consists of lusts and falsities is evacuated out of heaven and into realms of spiritual darkness. Our own human body and soul were designed in the image of Heaven and continue to be maintained, healed and sustained by the higher-dimensional fields of Heaven. We not only ingest and digest natural food; we also ingest all kinds of ideas or knowledge, and digest these ideas by means of reason. When these ideas agree with our loves and desires, we are able to digest them and they become part of our soul. But our soul only becomes truly nourished when we digest the water of Truth and the bread of unselfish Love. It is important to know what the form of heaven is, because not only is all affiliation there in accordance with it, but also all mutual communication, and in consequence of this all extension of thoughts and affections, and thus all the intelligence and wisdom of angels. From this it follows that each one there is wise just to the extent that he is in the form of heaven, and is thus a form of heaven. It makes no difference whether you say in the form of heaven, or in the order of heaven, since the form of any thing is from its order and in accordance with its order. Let us consider first what is meant by being in the form of heaven. Man was created both in the image of heaven and in the image of the world; his internal in the image of heaven, and his external in the image of the world; and in the image means the same thing as in accordance with the form. But as man by the evils of his will and consequent falsities of thought has destroyed in himself the image of heaven, that is, the form of heaven, and in place of it has brought in the image and form of hell, his internal is closed up from his very birth; and this is why man is born into pure ignorance, while animals of every kind are not. And that man may have the image of heaven or form of heaven restored to him he must be taught the things that pertain to order; since form, as has been said, is in accord with order. The Word contains all the laws of Divine order, for its precepts are the laws of Divine order; therefore to the extent that man knows these and lives in accordance with them his internal is opened and the order or image of heaven is there formed anew. This makes clear what is meant by being in the form of heaven, namely, that it is to live in accordance with those things that are in the Word. So far as any one is in the form of heaven he is in heaven, and is, in fact, a heaven in the least form; consequently he is to the same extent in intelligence and wisdom; for as has been said above, all the thought of his understanding and all the affection of his will extend themselves on every side into heaven in accord with its form, and wonderfully communicate with the societies there, and these in turn with him. We come into heaven if our love is heavenly and spiritual and into hell if our love is carnal and worldly without any heavenly and spiritual dimension. My evidence for this conclusion is all the people I have seen raised into heaven and cast into hell. The ones who were raised into heaven had lives of heavenly and spiritual love, while the ones who were cast into hell had lives of carnal and worldly love. Heavenly love is loving what is good, honest, and fair because it is good, honest, and fair, and doing it because of that love. This is why they have a life of goodness, honesty, and fairness, which is a heavenly life. If we love these things for their own sakes and do or live them, we are also loving the Lord above all because they come from him. We are also loving our neighbor, because these things are our neighbor who is to be loved. Carnal love, though, is loving what is good and honest and fair not for their own sakes but for our own sake, because we can use them to gain prestige, position, and profit. In this case we are not focusing on the Lord and our neighbor within what is good and honest and fair but on ourselves and the world, and we enjoy deceit. When the motive is deceit, then whatever is good and honest and fair is actually evil and dishonest and unfair. This is what we love within [the outward appearance]. People who are engaged in carnal love do not see anything in heaven's light. Heaven's light is darkness to them, while hell's light, which is like the light of glowing embers, is like daylight to them. In fact, in heaven's light their inner sight is deprived of light to the point that they become insane. As a result, they run away from it and hide in caves and caverns of a depth that corresponds to the false convictions that stem from their evil intentions. Exactly the reverse is true for people who are engaged in heavenly love, though. The deeper or higher they enter into heavenly light, the more clearly they see everything and the lovelier it all looks, and the more intelligently and wisely they grasp what is true. There is no way that people who are engaged in carnal love can live in heaven's warmth, because heaven's warmth is heavenly love. They can live in hell's warmth, though, which is a love of cruelty toward people who do not support them. The pleasures of this love are contempt for others, hostility, hatred, and vengefulness. When they are absorbed in these they are in their very life, with no knowledge whatever of what it means to do good for others out of sheer goodness and for the sake of the good itself. All they know is how to do good out of malice and for the sake of malice.